Just a very few years ago there was a company called Fotomat. 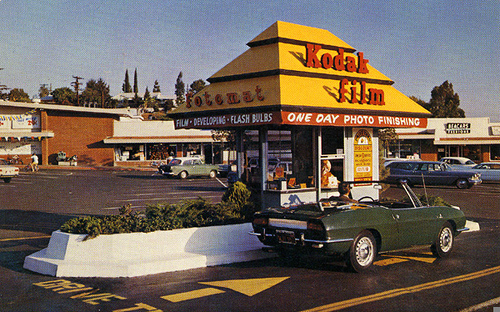 Fotomat's were little drive-up kiosks located in most shopping mall parking lots around the country. They offered the convenience of developing your roll of photographic film without having to get out of your car. Of course, you would have to wait several days to get back your 12 to 24 exposures back, but the convenience could not be beat. Fotomat also sold Kodak film so you could drop off another roll to develop when you came back for the first one. Simple marketing genius. We needed to develop photos, and print them onto 3x5 inch photo paper, in order to share our life with family and friends , and to fill all those shoe boxes in the closet. We needed birthday pictures to send to grandma, and First Communion pictures to share with aunts and uncles. Baby showers, school plays, weddings, and days at the beach pictures were needed in order to document our lives. We would stuff envelopes with photos, and mail them to all corners of the globe, fill little albums and bring them to work for coworkers to see the new baby. Generations of us shared our lives via Kodak. It was a way of proving that we were here. Kodak has changed. They don't sell film anymore. They don't even develop photos. The digital camera rung the death knell for them, and with the peeling of that bell went a bit of Americana, and tradition, from our landscape. We still share photographs. The need to share our moments will never go away, it's a human condition. We will record a scene at the beach on Cape Cod, and within seconds it will be viewed by grandma in Orlando. No more 3x5's in the mail, and no more shoe boxes full of memories for future generations to get lost in on a rainy spring day. Our moments in the mountains will be posted to Instagram, and Facebook for the world to see, but will only fade from memory. Moments will be tweeted, instead of savored, and stored away. We are taking more photographs than ever before in our history, but where are they? Most are all 0's and 1's sitting in a cloud somewhere on the Internet. Only a fraction are ever printed to share for posterity. 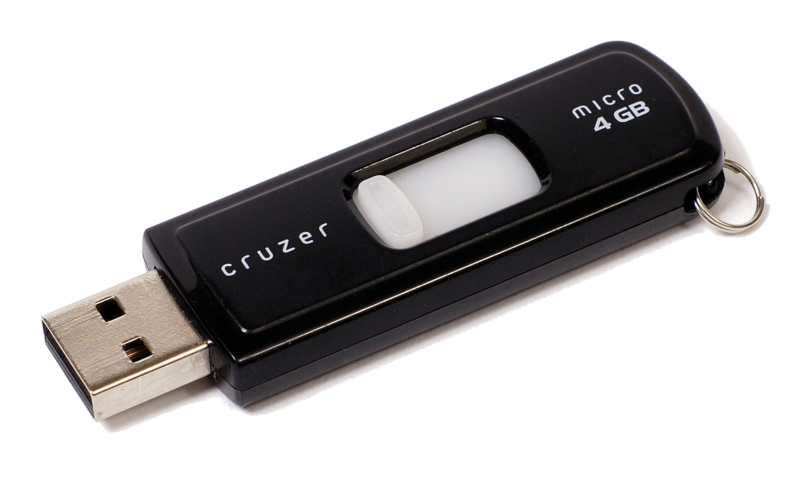 Most will save them on a memory card, and wait till its filled to capacity, then erase the card to fill with more temporary memories. We may be taking more photographs than ever before, but in a few years Instagram, Facebook, and Twitter may no longer be around, and neither will all those photos that have been posted. Entire parts of our lives gone with a click of "Delete". So much for having a record of our time on this planet. Unless we want to return to the days of oral story telling to paint a picture of an event we must begin savings our digital memories. Save photos to some permanent memory device such as a DVD, or flash drive, and when the technology changes in a couple of years, then switch over. But even better, permanently preserve a percentage of your photos to a photo book. Every few months, go through your photos on your phone, or digital camera, and select 10% of them to print in the form of a photo book. The books are not expensive, and can be designed, and ordered from an app on your phone, tablet, or computer, or directly from some websites. Ten per cent of your photos, just ten of every hundred, will give a good representation of your life at any particular point. You can edit, and weed out the cat chasing laser pictures, the multiple upon multiple new baby pictures, the even more countless selfies with no recognizable background. Save only the best photographs that say something about the moment. A photograph that will speak volumes when viewed years later on a rainy spring day even if your are not there to personally tell the story. Besides having children, this is another, obviously less expensive way, to leave bit of yourself behind, and prove to the next generation that you were here. It's a vey good way to trap those memories forever in the real world, and not lost as so many 0's and 1's in the ether. It's time to start saving your life. Right on Wally - we're soon approaching a generation that will not have a single photo of their parents, family or friends. Not to mention sound recording ..... how happy I am to have my Mom and Dad on what was originally reel-to-reel tape, since copied to CD and how sad I am not to have done a hell of a lot more picture taking and sound recording when I had the chance! Good advice, Wally. The other thing I'd suggest is to find any 8mm films, and especially video tapes and have them transferred to DVD media. 8mm projectors are getter harder to come by these days, while magnetic media degrades over the years. While the DVD format may (will) be replaced by something else some day. I'm sure it will be easier to transfer from that as opposed to a film or magnetic media.